Bloom: Penny and Tillie Giveaway! Good morning, friends. We hope you had a beautiful Easter holiday! I'm really excited to introduce you to a new online boutique called Penny&Tillie. I'm especially excited because it's mine! Well, half mine, actually. My friend, Jessie, and I had baby girls within a month of each other. They wear almost nothing but white onesies and the legwarmers we make for them. We're pretty obsessed with the legwarmers. 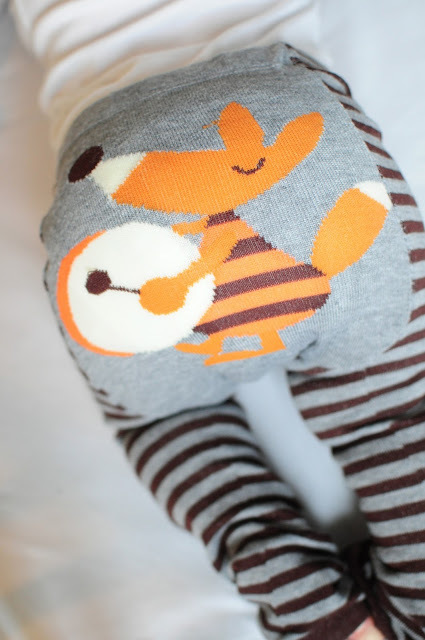 They are cozy, adorable, and the easiest things ever for diaper changes! And every, every, everyone asks us about them. One lady chased Jessie through Costco to find out where to get them! So we thought, why not open a little shop? and we've recently added some knit leggings as well. We're so excited today to offer our first ever giveaway to Penny&Tillie! You'll get $35 to spend in our shop, plus free shipping of course! 2. Leave a comment here--tell us what you think--what's your favorite thing? What would you like to see more of? 3. For additional comments, we'd love you to spread the word about the site and the giveaway. We'll give you an additional entry for each FB mention, tweet, blog mention, instagram shout out, etc. PLEASE LEAVE A SEPARATE COMMENT for each entry. We'll announce a random winner on Friday morning! LOVE these!! My babes are too big but I have some nieces that I have to get some of these for. Pick me, I'm a winner. Love the striped black and grèy leggings! Everything is adorable! I love the girl leggings, and I can't pick a favorite. The $35 would just get me started. I love the baby leg warmers, both the boy/girl ones for my boy/girl twins! I think paired together they'd make a great photo opp! I have been looking for leggings for my grandson due in July and love that you have a good boy's selection. Would love to get him started with some these. 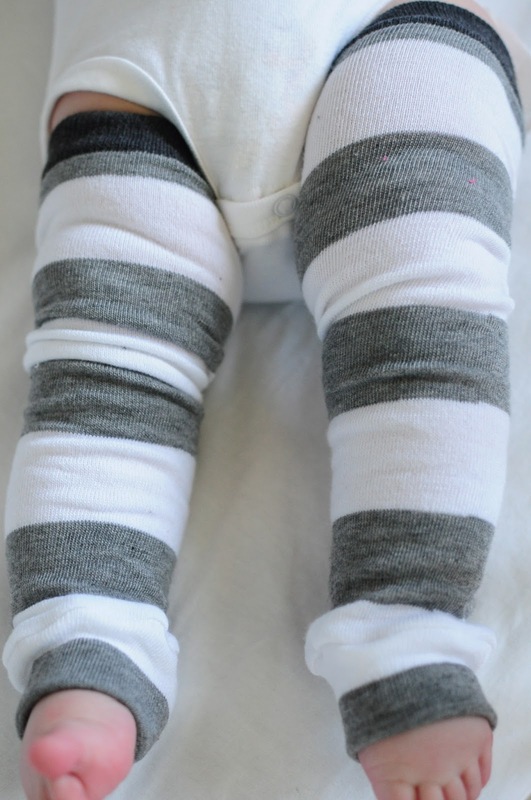 But really, black & white chevron legwarmers are my fave. So hip. So now. All of your products are incredibly adorable! My favorite is the panda leggings (both the boy and girl version) They are so cute! I would love to see more color in the leg warmers for boys. I love the boy stripes! Fun. I love the super simple headbands. My daughter is lacking in the hair department and is often mistaken for a boy, but I am not a fan of big frou frou bows or flowers. These are perfectly subdued, while getting my point across (aka, ummm...she's a girl). I also love the gray, neon violet and neon yellow striped legwarmers. They are so cute! I love the Dottie leg warmers. I would love to see more boy leg warmers, because although I was hoping for a girl I got a sweet little boy instead. And they would need to be very masculine looking so his daddy would let him wear them. I love the chevron and the dottie leggings, i also love the sparkly pastel head elastics! Choose me! We have bunnies for pets so I'd be remiss if I didn't note how adorable you Musical Bunny leggings would be on my sweeties! Love everything about these!! I have a little one on the way and cannot get enough of the chevron stripes!! Gonna have to order a few when fall comes around!! I linked it to my MOPS group page on facebook! We have 7 new babies arriving this month and next month alone! Hope to send them your way! O my gosh!! I gotta say that i am having a hard time choosing my favorite. My little girl could probably sport these like an 80's aerobic rock star, but they would probably be better suited for my best friends newest addition. She needs these BAD!!!! :) If I was buying them right now, I would buy the pink orange and grey dotties!!!! I also LOVE the sparkly bow head bands. So great... you guys really have something going here! Shared and posted on my wall!!!!! Those "Beary cheerful knit leggings" made my day. I can't even imagine how fun it would be to see that every time I went to change a diaper! I love what you girls have done! So adorable and fun. And I love seeing your girls in their fine ware. They're all terrific! I have a baby girl but I haven't dared try the leg warmer world ... I would love to give it a shot!! I love them all but I think the Little Lamb leggings would be perfect on my sweet Hazel Grace! Cute stuff! I love the girl leggings! Adorable! Posted and private on Instagram. I love the striped boy leggings and the red necklace.